Monster Charters guarantees your captain will be a professional, enthusiastic, and seasoned angler, whose experience on the inshore waters of central FL will provide you with unsurpassed memories of your day spent fishing. When you choose a Tarpon Springs charter, everything you need to catch the big ones is supplied for you. All you need to do is get on the boat. 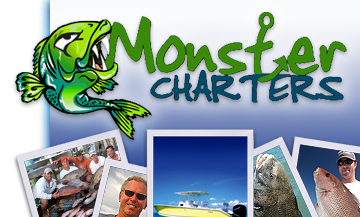 Contact Monster Charters today to reserve your spot on our next inshore fishing charter.